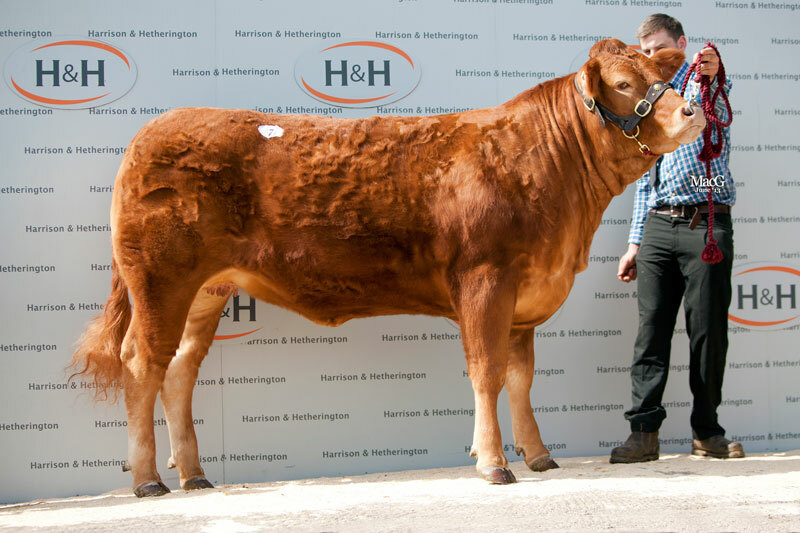 On 1st June, 2013, a consignment of Grahams females were sold at Borderway Mart, Carlisle, with seven served heifers averaging out at £7650, selling to a top of 17,000gns for the 19-month-old heifer, Grahams Gayla. This November 2011-born maiden heifer is by Baileys Elderado, a Queenshead Altea son, and is out of the French dam, Cavaliere. 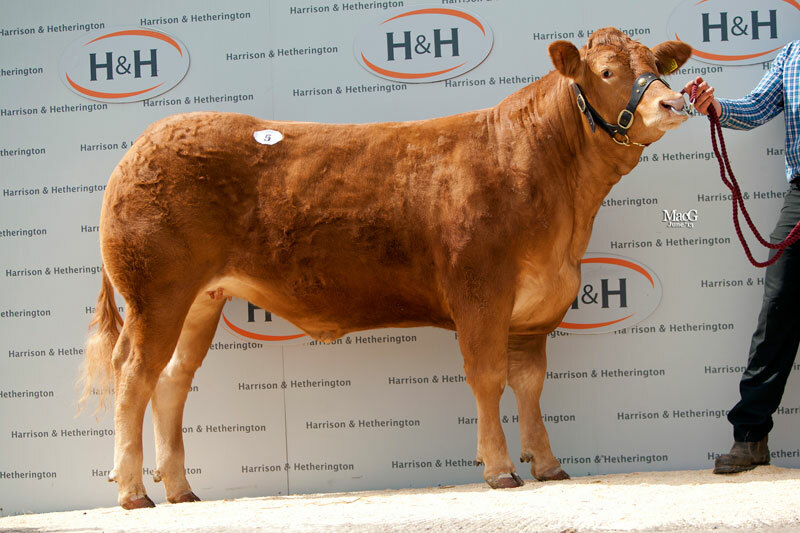 She was sold with a Beef Value of LM+30 to WJ and M Mash, Torrington Farm, Grove Lane, Chesham, for the Brockhurst herd. Mr Mash also paid 4000gns for Grahams Gold, a Grahams Alexander daughter. 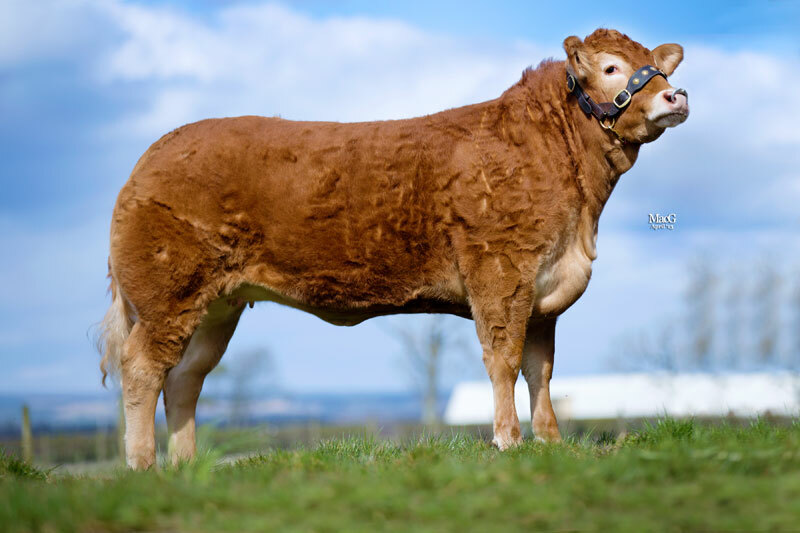 Second top, at 7500gns, was Grahams Gemini, by Millgate Clinker and out of Grahams Donna. This one was sold AI’d to, and having run with, the 30,000gns Goldies Black Forever. She went to DE Evans, Monfa, Gwernaffield Road, Mold, Clwyd. The similarly-bred Grahams Gina (Millgate Clinker x Grahams Evelyn) was snapped up for 6500gns by Andrew Morton, Lochend Farm, Denny, Stirling. 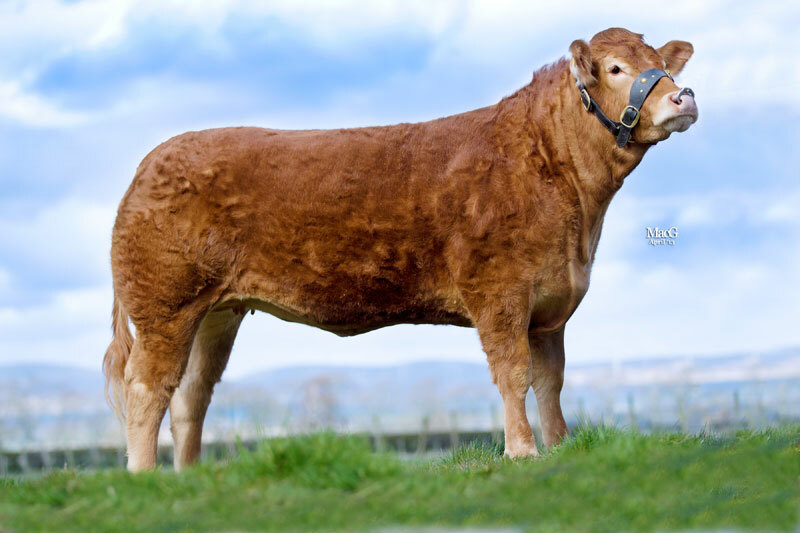 At 6000gns, Grahams Glory (Millgate Clinker x Grahams Diamond) was purchased by J Galbraith and Son, Upper Kinneil, Linlithgow, for their Galbraiths herd. And, Esmor Evans later paid 5000gns apiece for Grahams Georgia, by the 30,000gns Millgate Clinker and out of Grahams Eureka; and Grahams Gabrielle (Millgate Clinker x Saunders Edwina), with both being in calf to Goldies Black Forever.